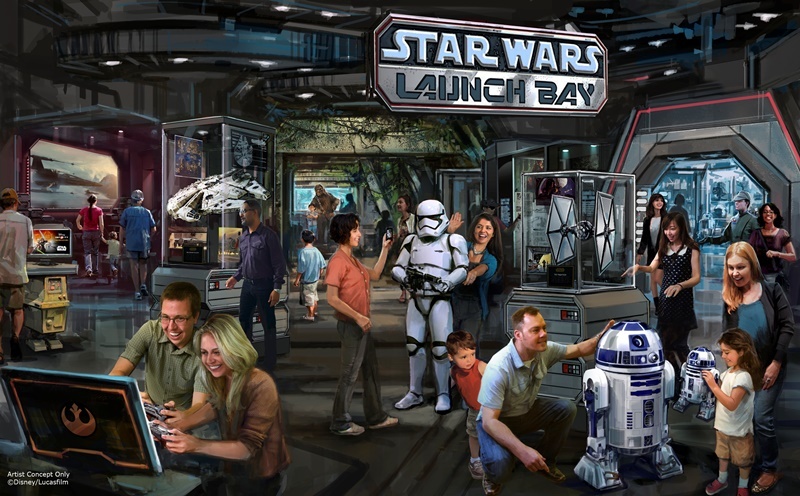 Disney announced a line-up of new attractions and entertainment coming to Walt Disney World® Resort and Disneyland®Resort during the D23 EXPO 2015. 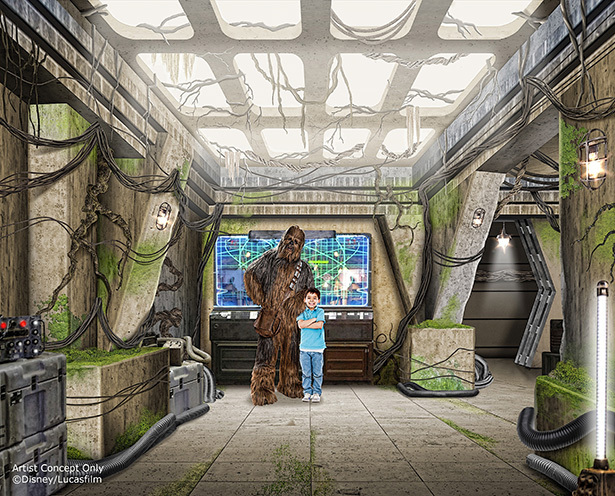 Star Tours® – The Adventures Continue – Later this year, Star Tours will include a new adventure featuring locations and characters from the upcoming film, Star Wars: The Force Awakens, giving Guests a new adventure in the Star Warsgalaxy. Season of the Force – This new seasonal event, beginning early 2016, brings new experiences to both coasts. InTomorrowland at Disneyland Park, your Clients can explore the Star Wars galaxy with special entertainment throughout the land, themed food locations and more. Guests also will be thrilled to climb aboard Hyperspace Mountain, a reimagining of the classic Space Mountain® attraction, in which Guests will join an X-wing Starfighter battle. AtDisney’s Hollywood Studios, Guests will close out weekend nights with a new fireworks spectacular set to the iconic score of the Star Wars movies. 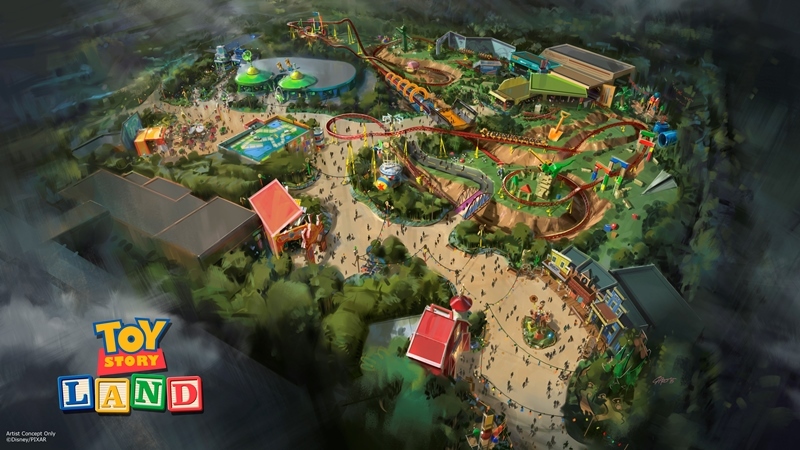 The reimagining of Disney’s Hollywood Studios will take guests to infinity and beyond, allowing them to step into the worlds of their favorite films, starting with Toy Story Land. This new 11-acre land will transport guests into the adventurous outdoors of Andy’s backyard. Your Clients will think they’ve been shrunk to the size of Woody and Buzz as they are surrounded by oversized toys that Andy has assembled using his vivid imagination. Using toys like building blocks, plastic buckets and shovels, and game board pieces, Andy has designed the perfect setting for this land, which will include two new attractions and one expanded favorite. “Rivers of Light” – Expected to open next spring, “Rivers of Light” will be an innovative experience unlike anything ever seen in　a Disney park, combining live performers, floating lanterns, water screens and swirling animal imagery. Jungle Cruise® fans can look forward to the brand-new Jungle Navigation Co., Ltd. Skipper Canteen restaurant opening in Magic Kingdom® Park late 2015. At the Jungle Skipper Canteen, Guests will be able to experience “World Famous Jungle Cuisine” in one of several unique dining rooms – including a crew mess hall and a once-hidden secret meeting room of the famed Society of Explorers and Adventurers. The restaurant will also be staffed by Jungle Cruise Skippers. 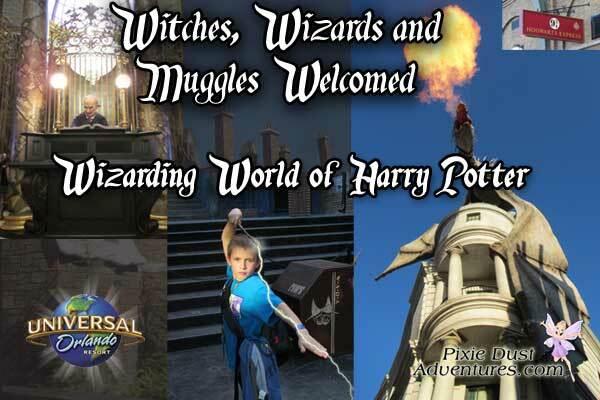 Stay tuned for more information about these new enhancements and attractions! 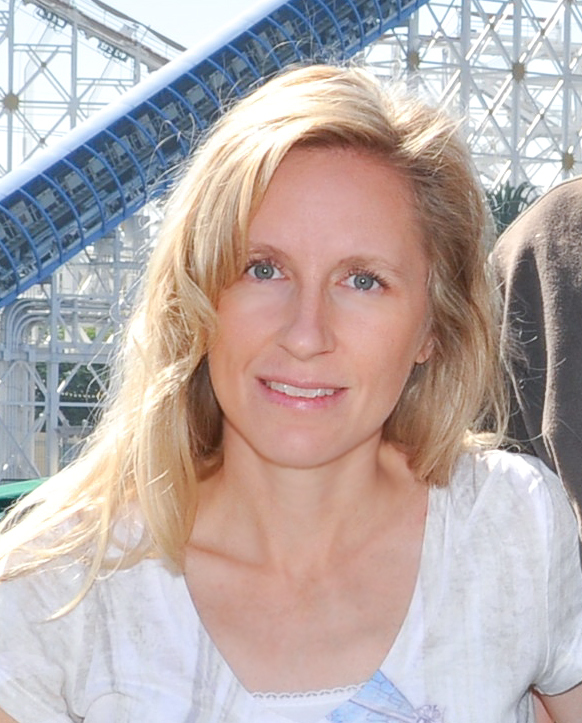 My name is Melissa and I am a travel agent with Main Street Adventures Travel Agency. I look forward to personally experiencing the new attractions! Disney Parks are now booking packages into 2016. If you would like to plan a trip for next year, please contact me for a free, no obligation quote. Listed below is the attraction closure & refurbishment schedule as of 4/24/14. It is always a good idea to ask your agent for an updated list prior to traveling.